He teaches in: laboratory of preparation and characterization of materials (II) for the master degree in materials science (since 2009); laboratory of Organich Chemistry IV for the master degree in Chemistry (since 2010); Advanced Reactivity and Modelling for the master degree in Pharmaceutical biotechnologies (since 2015). edificio 00170 stanza 00023 piano terra (in fondo al corridoio a destra) nell'edificio di Organica Nuova del dipartimento di Scienze Chimiche. 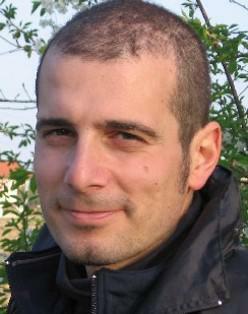 Andrea Sartorel is associate professor at the department of chemical sciences, university of Padova. He has published 59 papers on peer-reviewed journals (average IF 7.2, h-index 32, total citations 3040, citations without self-citations of all authors 2403, average citations per item 51, 10 papers as a first author, 21 papers as corresponding author; source: Scopus, 26th March 2018). His research interests have been initially addressed towards activation of oxygen in biomimetic oxidation catalysis (he was responsible for a 2 y project funded by the University of Padova, CPDA104105/10 “Artificial synzymes in nanostructured environments for biomimetic catalysis”). Since 2008 his interests are mainly related to artificial photosynthesis and solar fuels production towards water splitting. In particular, his major breakthrough is the discovery of a new family of water oxidation catalysts, based on polyoxometalate species (JACS 2008, 130, 5006, first and corresponding author: 425 citations and highlighted in Angew. Chem., Int. Ed. 2008, 47, 5888; Nature Chemistry 2010, 2, 826: 256 citations and highlighted in Nat. Chem. 2010, 2, 804; JACS 2009, 131, 16051, first author: 142 citations; source Scopus). He participated to several project on this argument funded by the Italian government (Firb Nanosolar RBAP11C58Y, Prin Hi-Phuture2010N3T9M4), by Fondazione Cariparo (Nanomode, progetto di Eccellenza 2010) and by the University of Padova HELIOS STPD08RCX. 2008-2016 – Assistant Professor – Department of Chemical Sciences, University of Padova, Italy. 2006-2008 – Post doc position – Institute on Membrane Technology of the Italian National Council of Research, “New catalytic membranes and reactors for selective reactions as advanced systems for a sustainable future” Supervisor Prof. G. Scorrano. 2003-2005 – Researcher at Reckitt Benckiser S.p.A. Research and Development center, Mira (Venice area, Italy). During this period of his career he did several experiences (average 2 months/year) of project management in other European R&D centers (UK, Germany, Poland, Spain), dealing with formulation development (1 patent WO2006016127, 2005) and basic research on detergents and other home products.